“We intend to pass the judgment on the petitions, keeping the contempt alive...these kind of instances cannot occur...it is the obligation of the states to prevent the same...hence, an elaborate judgment is needed”, said CJI. The Supreme Court on Tuesday reserved its judgment on a string of writ petitions filed in the light of the rising issues relating to cow vigilantism. “We can deal with this under Article 142...we have developed the concept in Shakti Vahini (honour killings)...compensation and monitoring of investigation are aspects that have to be looked into...also, what would be the point of a judgment without any preventive measures...”, the CJ opined. “By order dated September 6, 2017, Your Lordships have directed the appointment of nodal officers in each district of the states...despite this, an incident of lynching has occurred 60 km outside of Delhi two weeks back...Your Lordships have provided for highway patrolling (vide the aforesaid order), but such episodes are happening just off the highway...the directions are being flouted with impunity...that is why the contempt was brought...we want the substantive orders of this court to be implemented...Your Lordships had dispensed with the appearance of the Chief secretaries...they must be asked to be present...”, submitted Senior Counsel Indira Jaising, appearing on behalf of petitioner Tushar Gandhi. “Do not get into Article 257...for the law and order situation within the states, each state is responsible...”, noted the CJI. “The situation we are seeing in the country goes beyond law and order...(‘It is a crime’, interjected CJ Misra)...it is a crime with a pattern...”, responded Ms. Jaising. 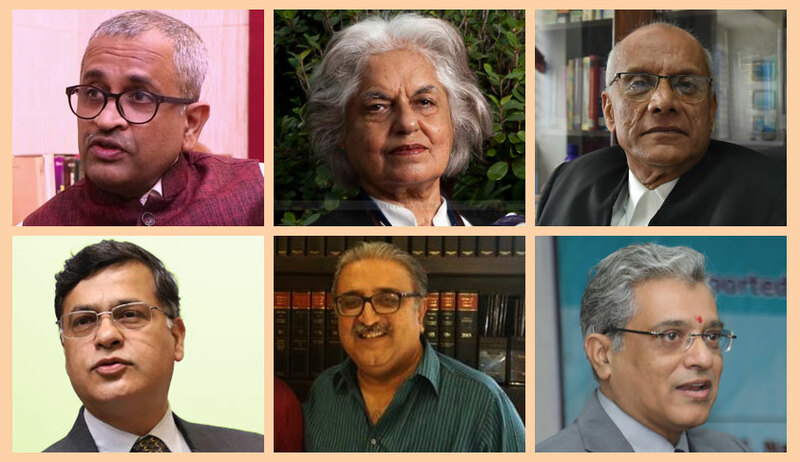 “We intend to pass the judgment on the petitions, keeping the contempt alive...these kind of instances cannot occur...it is the obligation of the states to prevent the same...hence, an elaborate judgment is needed”, asserted CJ Misra. “The UOI has annexed affidavits on advisories to handle such instances and what the state government may do...but to make a statute is unnecessary as of now...controlling the law and order is important for which Your Lordships can issue directions to the state governments...”, contended ASG P. S. Narasimha. “It is not enough for them to only prepare advisories...when it comes to a statute that is applicable all over India, it is the job of the Centre to ensure its implementation...”, argued Ms. Jaising. In this context, she indicated the 2017 apex court judgment in Swaraj Abhiyan v. UOI, wherein the implementation of the National Food Security Act of 2013 by the states was dealt with. “In this judgment, Your Lordships had said that there is no need for any guidelines as a statutory scheme exists...the same only has to be implemented...”, he elaborated. “My petition deals with hate speech...Your Lordships had directed nodal officers to be appointed who shall look into instances of lynching and take steps to prevent the same...in none of the cases that we have documented was any action taken...statements were made by prominent people which had a jarring link to the act of lynching...the provocation was grave...”, continued Mr. Gonsalves. Referring to sections 153A, 153B, 295, 295A and 298 of the IPC, he stated that the statutory framework is clear. “So in the event of an offence under these provisions, notice should be taken immediately and FIR registered...”, ventured the bench. The bench also participated in a discussion with Ms. Jaising as to who could be a victim of vigilantism. “The protected categories in Article 15 should be covered...”, suggested Ms. Jaising. “Anyone could be a victim...Why only those covered under Article 15?”, observed the bench. “The term ‘victim’ is defined in the Cr. P. C...but we are coming for vulnerable categories...Targeted violence is different from General violence...this is not murder that happens in someone’s living room...”, she responded. “Do not bring Article 15”, reiterated the bench. • Each state should nominate a senior police officer, not below the rank of Superintendent of Police, as the Nodal Officer in each District, to ensure that preventive measures are taken to check incidents of mob violence/lynching. • The State Governments should forthwith identify Districts, Sub-Divisions and/or Villages where instances of lynching/mob-violence have been reported in the recent past, say, in the last five years. The Secretary, Home Department of the concerned States shall issue directives/advisories to the Nodal Officer of the concerned Districts for ensuring special care in the identified areas. • Every police officer, directly in charge of maintaining law and order in an area, shall take all reasonable steps to prevent any act of lynching including its incitement and commission. In doing so, he shall make all possible efforts to identify and prohibit instances of dissemination of offensive material or any other means employed with a view to incite or promote the act. • Every police officer, directly in charge of maintaining law and order in an area, shall make all possible efforts to identify patterns of violence in the area under his jurisdiction, that indicate occurrence of targeted violence, including the creation or existence of a hostile environment against a person or group of persons. • It shall be the duty of every police officer, directly in charge of maintaining law and order in an area, to exercise his authority on a mob in order to cause it to disperse. In exercise of such authority, the officer may use such powers as vested in him under Section 129 of the Code. • If an incident of lynching/mob-violence takes place despite the measures taken by the state, the jurisdictional police station shall immediately lodge an F.I.R. under the appropriate provisions of law. Intimation of the registration of the FIR shall be promptly given to the Nodal Officer in the district who, in turn, shall ensure that effective investigation is carried out. • Cases where a charge sheet is not filed within a period of three months from the date of registration of the FIR shall be reviewed by the Nodal Officer, who may pass orders for a fresh investigation by another officer not below the rank of the Deputy Superintendent of Police when he is of the considered opinion that the same is necessary. • Immediate steps shall be taken by the district administration to provide security to the victim of lynching/mob-violence and his/her family members. • The State Government shall provide Compensation to the victims within 30 days of the incident. Where the death of a person has occurred as a consequence of lynching, such compensation shall be paid to the next of kin of the deceased. While computing the compensation, the State Government must give due regard to the bodily, psychological and material injury as well as the loss of earnings, including loss of opportunity of employment and education, and the expenditure incurred on account of legal and medicinal assistance. • Wherever it is found that a police officer, or an officer of the district administration has deliberately not complied with these directions or has failed to exercise the power legally vested in him in order to prevent or investigate an act of lynching/mob-violence, such action will be regarded as wilful negligence/misconduct. Disciplinary action as per extant service rules must be taken against the same. An enquiry regarding the same must be concluded within 6 months. • Incidents of lynching/mob-violence shall be tried by specially designated fast-track courts in each district. Such a Court shall hold the trial on a day-to-day basis. The trial shall preferably be concluded within six months from the date of taking cognizance of the offence. • A Designated court may, on an application made by a witness in any proceedings before it or by the Public Prosecutor in relation to such witness or on its own motion, take such measures as it deems fit for keeping the identity and address of the witness secret. • A victim shall have the right to reasonable, accurate, and timely notice of any court proceeding. He or she shall be entitled to be heard at any proceeding in respect of bail, discharge, release, parole, conviction or sentence of an accused or any connected proceedings or arguments and file written submissions on conviction, acquittal or sentencing. • A victim shall be entitled to receive free legal aid if he/ she so chooses and to engage any advocate who he or she chooses from among those enrolled in the legal aid panel under the Legal Services Authorities Act, 1987 and the Legal Aid Services Authority established under the said Act shall pay all costs, expenses and fees of the advocate appointed by the victim or the informant. • It shall be the duty and responsibility of the State Government for making arrangements for the protection of victims, and witnesses against any kind of intimidation, coercion or inducement or violence or threats of violence. Finally, it has been suggested that these measures be carried out within six weeks hence by the respondent States and that the Reports of compliance be filed within the said period before the Registry of the Supreme Court.